Maruti launches all-new Alto 800 at Rs.2.44 lakh! 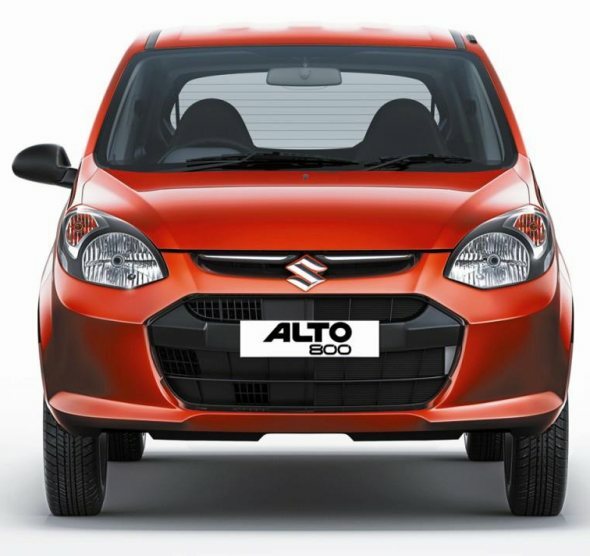 Maruti has launched an all-new Alto 800 to replace the aging existing Alto which has been in the market for over 11 years. The new Alto 800 comes in three variants, standard, LX and LXi, along with a CNG-petrol dual-fuel option. The Alto 800 has been specifically named to differentiate it from its more sporty sibling, the Alto K10, which will continue to sell. The Alto 800 gets an all new body shell, but quite a few bits continue from the existing Alto. The Maruti Alto 800, sadly, is not a design that is attractive at first sight. It looks like the car has been put together by dipping into the parts bins of a bunch of Maruti and other cars. The front-end gets new “bright-eyed” looking headlamps and a hexagonal grille, that looks inspired from other hatchbacks. In profile the car looks like a mix of the A-Star (which sells as the new Alto in other markets) and the existing Alto 800. It has got increased ground clearance and a slightly taller body, with a more upright stance, with a distinct crease running along the side. The windows seem a bit too small with thick door surrounds. The car runs on 12-inch wheels, the same as the existing Alto. The rear of the Alto is slightly better looking with a more upright boot hatch. The interiors of the Alto are much better thankfully – and if you are primarily going to be driving the car, the interiors do their part to cheer you up, even if the exterior is a bit disappointing. It gets dark beige and grey interiors with silver accents around the steering wheel, centre console and AC vents. The steering wheel is sporty and looks similar to the Swift and Ritz wheel. The instrument cluster gets only a single large speedometer, with an LCD display that shows fuel level, trip meter and odometer. All the rest of the warnings come with tell-tale lights in the cluster. Interior space has improved slightly from the earlier Alto. The front seats now get integrated headrests (non-removable), and the seat backs are scooped out to free up some legroom. Boot space seems slightly better, but the boot hatch is a bit narrow and one can’t store more than a couple of bags in the vehicle. The engine of the Alto 800 has been given a tune up. It continues to be powered by the old F8D, 796 cc three-cylinder petrol engine, with a 12-valve layout. Power has been increased by about 3 bhp to 47.5 bhp at 6000 rpm, while torque has been increased to 69 Nm from 62 Nm at 3,500 rpm. This is mated to a five-speed gearbox that has quite a light shift feel. There is also a CNG variant of the Alto 800 that costs about Rs. 40,000 more. The Alto 800 is still not as powerful as its chief competitor, the Hyundai Eon, which develops 55 bhp and 76 Nm of torque. There are not too many features in the car as it is an entry-level car. The front bumper, that had an option for fog lamps in the earlier Alto, now is plain. The interiors get two power windows in the LXi variant. There is also the option of a driver’s airbag for the LXI variant – which improves the car on the safety front. AC is standard to the top two variants. It gets some useful storage spaces such as a cupholder in front of the gear shift and a storage tray under the dashboard on the driver’s side. The LXi variant gets full-size wheel caps. Maruti claims the improvements to the engine have also resulted in slightly better fuel economy. The car claims an ARAI-certified 22.7 kmpl for the petrol variant and up to 30 kmpl when running the CNG variant! Fuel economy has always been the Alto’s selling point and it will continue to be so. The Alto 800 in its earlier design looked good and was a best-seller, selling over 25,000 units a month (along with the Alto K10). The new Alto 800 isn’t that good looking, but perhaps over time the looks of the car may not matter so much as its practicality. Those looking for an entry level car, most often turn to Maruti because of its large service network and reputation for reliability that has been built over the years. The Alto 800 will sell on these points. Share what you think of the Alto 800 with the rest of the CarToq community. Like the car? Let us know. « The real mileage of i20 and Swift revealed by Cartoq community!